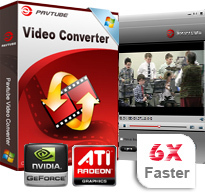 Pavtube Video Converter-best software to convert WMV, AVI, TiVo, MKV, AVCHD MTS files. Perfect support for H.264 MOV recordings, AVCHD (MTS/M2TS), and MXF footages. Convert/transfer videos to iPad/iPad 2/iPad 3, iPhone 4/iPhone 4S, Apple TV 3, iTouch 4 and more. Work as a TiVo HD converter - transcode TiVo to MP4, encode TiVo to MPEG, and more. Output optimized profiles for Android devices like Kindle Fire, Nook Tablet, Asus Infinity TF700, Samsung Galaxy S3, Nexus 7 tablet, Galaxy Note 10.1 and so on. Video Converter Ultimate is able to convert non-protected Blu-ray, DVD and other video files to your required formats. Create playable DVDs from AVI, MKV, WMV, MXF, MOV, DivX, XviD, MP4, VOB, M2TS, MTS, TiVo and many other video files. Pavtube Video Converter is an all-in-one video converter tool specially developed for users to convert videos from one format to another. By using this best video converter software, you are able to convert TiVo shows(also working as a lossless TiVo Converter or a TiVo shows converter), tanscode AVCHD MTS/MTS footage, handle Canon shootings, and many other files, including MXF, MKV, TS, TOD, MOD, FLV, F4V, AVI, QuickTime MOV, VOB, MP4, MPG, MPEG, SWF, ASF, MVI, VP6, EVO, VRO, DV, MP3, AC3, MKA, WMA, WAV, M4A, OGG, APE and more. With Pavtube Video Converter, you can easily convert 1080p HD video to portable devices and HD media players friendly formats for smooth playback, including Apple TV 3, iPad/iPad 2/iPad 3 , iPhone 4, Galaxy S III, Motorola Atrix 4G, Motorola Xoom, Amazon Kindle Fire, Google Nexus 7 Android 4.1 Tablet, ASUS EeePad Transformer Prime, Asus Infinity TF700, Nook Tablet, HP TouchPad, Toshiba Thrive, BlackBerry PlayBook, Dell Streak, Samsung Galaxy Tab, PSP,PS Vita, PS3, Nokia N9, Galaxy Note, Droid X, Xbox 360, Archos Internet Tablet, WD TV and more. Plus, Pavtube Video Converter provides particular output formats for video editing tools so that you can directly convert videos for editing with Windows Movie Maker, Adobe Premiere Pro, After Effects, Sony Vegas, Avid Media Composer, Ulead VideoStudio Plus, Pinnacle Studio, CyberLink PowerDirector, and Magix Movie Edit Pro. With its simple and intuitive interface, you can easily finish conversion without any troubles. The input files are covering MOD, TOD, MTS/M2TS, MXF(some MXF files only)footages captured by JVC, Panasonic, Cannon, Sony, DVs/cameras/camcorders, TiVo recordings from TiVo DVRs, M2TS and VOB files from copy protection removed Blu-ray discs and standard DVDs, FLV/F4V files downloaded from video sharing websites like YouTube, Metacafe, Hulu…, the popular MKV files, Xvid/Divx encoded AVI files, WMV/MOV/TS/TP/H.264/MPEG-4 files and more. The video converter software adopts optimized audio and video in sync technology, which will never let you encounter any troubles caused by audio and video out of sync issues. Pavtube Video Converter takes full advantage of NVIDIA's CUDA technology and ATI Stream (AMD APP) technology to largely accelerate conversion speed. The GPU acceleration saves users lots of time when using H.264 codec to do format conversion. NOTE: To use GPU computing feature, a CUDA-compatible NVIDIA graphics card or an AMD graphics card with AMD APP technology must be installed. The CUDA and AMD APP acceleration both work only when creating H.264 encoded video files. The deinterlacing option allows you to convert interlaced video into a non-interlaced form, so that you can enjoy a better and clearer video effect. Apart from that, the program also provides various other special effects, like simple laplacian sharpen, gray, flip color, invert, aged film, etc. The trim function allows you to get a specific length of video accurately, since its inner seek function can capture any key frame of the video, while with crop function, you can cut off the black edges and unwanted video areas easily. You are allowed to join multiple videos into a single file for conversion, as well as replace the original audio track with other music or sound track. The Video Converter enables you to add different watermarks to your video file, including text, image (including GIF), and video watermark, so you are ready to get a picture-in-picture effect on your video. You can capture and save your beloved video scenes as snapshots images. The upgraded program allows you to arrange the format profile list as you like. Hide the unwanted formats profile list and save customized format to Custom group for ease of use. Video Source Sony AVCHD Camcorders HDR-CX100,HXR-MC50E, Alpha NEX-3, NEX-5, NEX-5C, HDR-XR550, DSC-HX5V, HX5V-E, HXR-NX5, HDR-AX2000, DSC-HX5V, HDR-CX105, HDR-CX500E, HDR-CX520E, HDR-TG5, HDR-XR100, HDR-XR520VE, DSC-TX7, HDR-CX7, HDR-SR11, HDR-SR5, etc. Canon AVCHD Camcorders 5D Mark II, 7D, HF200, 550D, XF305, HF S200, HF M31, HF M30, HF M300, HF R11, Vixia HF S10, HF S21, HG10, HF S11, HF S20, HF100, HF S10, HV20, HR10, HG10, DMC-FT1, etc. Panasonic AVCHD Camcorders HDC-TM700, HDC-SD90, DMC-GH1, HDC-SD60, HDC-TM350, HDC-HS700, HDC-SD5, Lumix DMC-ZS7, HDC-SD700, HDC-HS250, HDC-HS60, AG-HSC1, AG-HMC40, AG-HMC82, etc. JVC AVCHD Camcorders GZ-HM1, GZ-HD620, GZ-HM400, GZ-X900, GZ-HD320, GZ-HD300, GZ-HM200, GZ-HD10, GZ-HD30, GZ-HD40, etc. Others KODAK PLAYSPORT Video Camera, etc. General MP4 players: PS Vita, PSP, Archos, Creative Zen, iRiver, etc. Other popular cell phones: Nokia N9/N8/C7/E7, Blackberry, etc. Output to Programs Editing Software Widnows Movie Maker, Sony Vegas, Adobe Premiere Pro/Elements/Express, After Effects, Nero, Avid, CyberLink PowerDirector, Roxio Creator, Pinnacle Studio , Encode, etc. Burning Tool Windows DVD Maker, Nero Lite, ImgBurn, CDBurnerXP, FinalBurner Free, Ashampoo Burning Studio, InfraRecoder, StarBurn, DeepBurner, Alcohol 120%, DVDFab DVD Copy, etc. A: All of our softwares are platform-independent ones but not cross-platform. So a Windows software cannot be installed onto a Mac computer and vice versa. If you need a Mac version, please kindly contact with Pavtube support team at macsupport@pavtube.com. Or if you need a Windows version, please kindly contact with Pavtube support team at support@pavtube.com. Discount will be available for a second purchase. Q: We have a copy of pavtube software in order to be able to convert MXF files created on a Panasonic AJ-HPX3100G camera, but it’s unable to read the MXF files now in the software. In the preview window, the picture is gray. If I convert it to mov or any other format, the screen is also gray. A: This problem may happen to MXF files recorded in AVC-Intra 100 mode. AVC-Intra is a new codec that further advances HD production. Currently pavtube can deal with the AVC-Intra 50 codec, in the camera recorder you can choose to shoot under AVC-Intra 50 mode, pavtube has no problem to convert it. We will add support for AVC-Intra 100 codec soon. Q: How to combine multiple video clips into one file? A: Select the items you want to combine together and check the box of ‘Merge into one file’ before converting the videos. Q: My widescreen movies (16x9) aren't staying widescreen after conversion. I don't want the video to be stretched and made taller. What can I do? A: Simply click ‘Settings’ button and set the Video Size to 16*9 aspect ratio before converting the movie. Q: How can I get AAC/ AC3 5.1 channels as output audio? A: You can click ‘Settings’ button and select ‘5.1 channels’ from the drop-down list of Audio Channel. Please note that piratical output formats do not support 5.1 channels. A: Please find the column named ‘Destination File’ on file list. Double click the output name and then you can type in desired output file name. Q: My videos were recorded by my HD camcorder, there are many stripes and noises on the picture after conversion, why should this happen? A: Some footages are taken under interlacing mode, and this lead to stripes and lines on the screen. To eliminate the lines, you may follow ‘Edit’ menu-> ‘Effect’ tab and check ‘Deinterlacing’ box before conversion. As to the noise, when you apply the special effect mode “Simple Gauss Blur” from the drop-down list, the noise will be reduced greatly. Q: I’d like to eliminate black bars (edges) from the movie, what should I do? A: Click ‘Edit’ button to enter into the edit panel and switch to the Crop tab, then just drag the dashed frame on the video screen of the original preview window to cut off the unwanted parts to get the right aspect ratio you need. Q: How do I install and register the software? A: Please find more details at Install and register Windows products. Q: I am unable to download the program properly. What can I do? A: Please check whether your computer has been infected. Then check your IE settings. Please click "Internet option..." under "Tools", and then select the "General" Page, just click "Delete file...", and it will be OK.
Q: Can I change the output file name? Can I play Flash on Microsoft Surface RT/Pro Tablet? How to transfer MKV/AVI/TiVo files to Galaxy Tab 2 10.1? How to deliver TiVo shows to Apple iOS 6 iPhone 5 for watching? How to use iMovie on the iPhone 5? 4.Improved handling for location seeking issues on BD and some VOB files What's new? - Improved stability and optimized media player. - Include 18 new profiles for Android and Windows 8 tablets. - Upgraded to support precise frame-by-frame video trimming and MXF trimming. - Now preserve multi-audio streams when converting MXF to MKV/MP4. - New presets for Apple TV Dolby Digital 5.1 audio pass-through. - Optimization to split operation and effect setting. - Now support 2D to 3D conversion by setting 3D effect in Video Editor panel. - Now loads MXF files by directory/in batch. - Corrected calculation method to show more accurate estimate output file size.